Twelve years ago Lara was a stay-at-home mom needing to lose baby weight. She started her transformation through traditional body building and competed in NPC Figure for several years. In 2009 she discovered the barbell while doing CrossFit workouts. 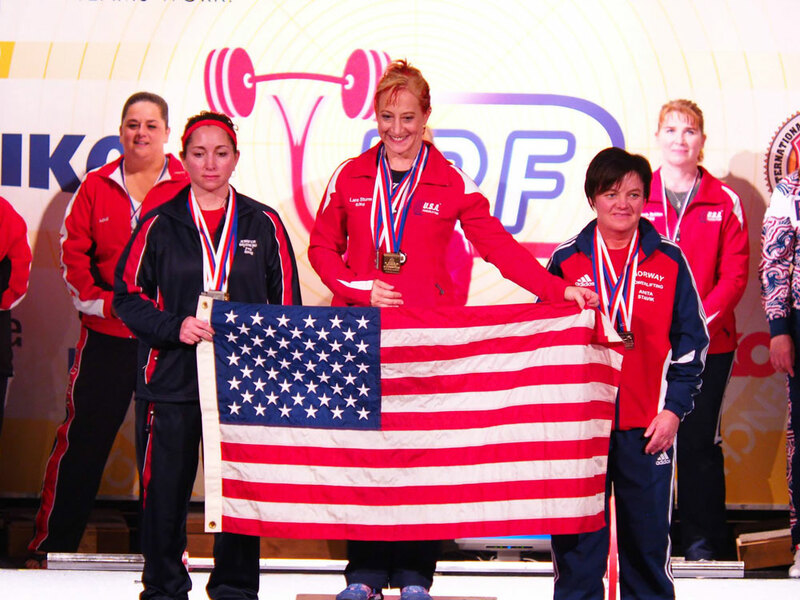 In 2012, when picking up heavy stuff started to really get fun, Lara decided to try competing in a USAPL Powerlifting meet. She got hooked from the start and has now holds over 20 state records and two American Records. In September of 2014 Lara won the title of World Champion by competing at the IPF World Masters Championships in Pilsen, Czech Republic. As a M1(40-50) lifter and a body weight of 138# she squatted 402lb, bench pressed 220lb, and deadlifted 380lb, totaling over 1000lb. This was enough to put her on the podium with a Gold medal clinching her first Word Championship title! Are you ready to take your lifting to the next level?